Every family should jump on this opportunity to meet Ms. Lake. Is it tough to know what you want to be when you grow up when you're in 9th grade? Yeah, probably. But it's never too early to start piecing together your future. Whether you have an interest in joining the military, or entering the workforce, or attending a technical school or university, Ms. Lake can help you navigate the steps and make a plan. 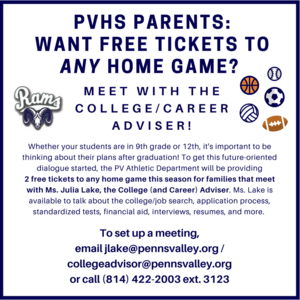 Plus you will get 2 tickets to any Penns Valley home athletic event. Get on this! 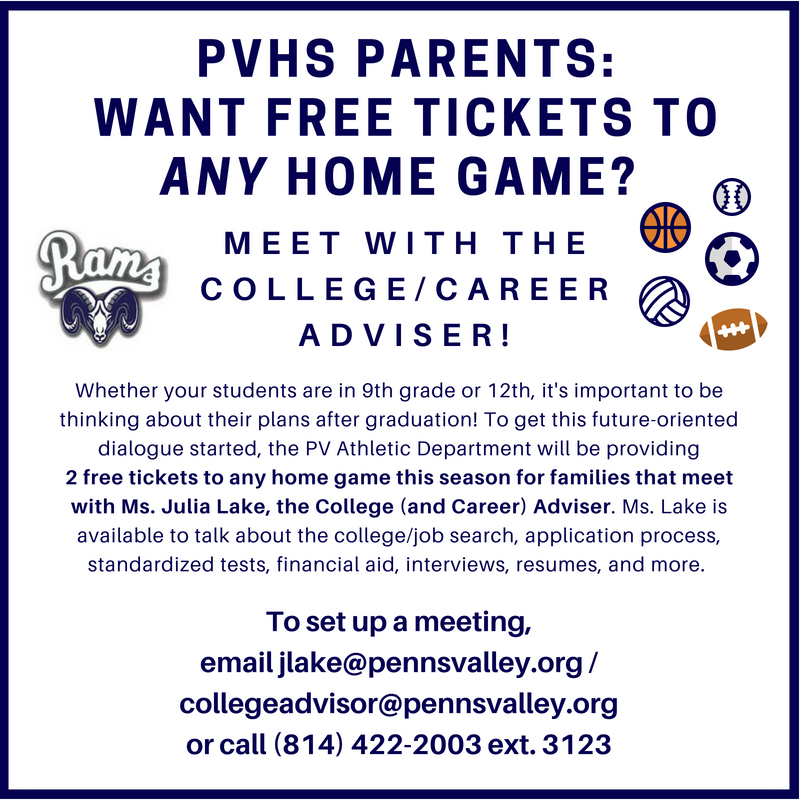 Students, bring your parents in and get this done!